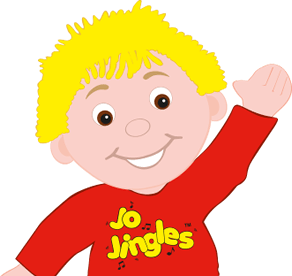 Hello, I'm Karen and I run the Jo Jingles franchise in North Herts taking the classes in Letchworth and Fairfield Park. Prior to having my family, I worked in the dealing room of a large global bank in the City controlling the foreign exchange deals of their staff...not an easy task ! 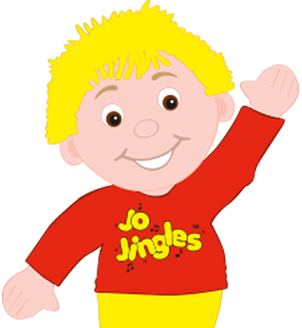 After a career break and my children starting school, I worked as a Jo Jingles class teacher from 2004 and in 2007 I took over the franchise from the retiring owner. I have tremendous fun at classes and the rewards from teaching the children are priceless. Do I miss the City......absolutely not ! When I'm not "jingling", I am married to Nigel and have two teenagers, Oliver and Sophie. I have always enjoyed playing my piano & clarinet (though a bit rusty on the clarinet these days!) Music plays a large part in our house and Jo Jingles fits perfectly! 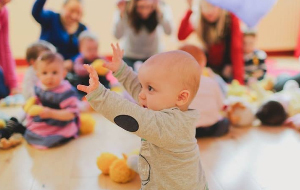 Hi, I'm Sarah and I run classes in Hitchin, Shefford & Stotfold. I have 3 children of my own and have worked as a deputy head of a private nursery, lived in France for a while, worked as a Nanny, run my own preschool cooking classes and been involved in our local Rainbows group. I certainly know how to have fun with children. You will probably know just how much all three of us looked forward to the session each week. You will probably know just how much all three of us looked forward to the session each week. You made being a Mum of twins in a class session an absolute breeze. Thank You. 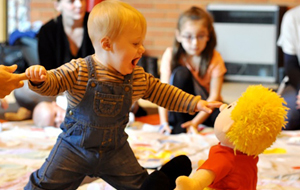 Jo Jingles is the best pre school activity we do. My child has gained in confidence and become sociable and loves to sing. 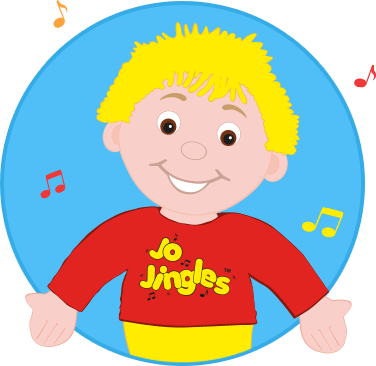 Our Son thoroughly enjoyed Jo Jingles - the excellent leadership, weekly themes for learning through song, and the fun use of musical instruments helped his confidence, sociability and, having a speech delay, he progressed his language through singing. We, as parents, had a great time too, and we will be taking our new daughter to Jo Jingles! Before Jo Jingles Dylan used to be very shy even though he is quite a showman at heart. Now he expresses himself more freely and looks forward to each session. Thank you so much for these last few years of singing and smiles at Jo Jingles. Sam, like his brother before him, has loved every moment! Thank you so much for these last few years of singing and smiles at Jo Jingles. Sam, like his brother before him, has loved every moment! No matter how tired/grumpy/poorly he is, Jo Jingles always cheers him up. I would recommend it to all parents of young children as music is such an important part of their development. I can't quite believe that we've come to the end of our "jingles" era! We really can't thank you enough for making Monday mornings so enjoyable for the past 3 years. But - it is your incredible enthusiasm, warmth and kindness that makes it so special and has kept us coming all these years. I've said it before but you do such a great job and Sophie has absolutely loved coming to Jo Jingles (as have I!). I've said it before but you do such a great job and Sophie has absolutely loved coming to Jo Jingles (as have I!). She has got so much from the classes and she constantly amazes me with the things she has learnt, from basic listening skills to names of instruments and musical notes. And I really appreciate how much you let William join in too, he's so desperate to do everything his sister does! Receive the first 3 classes for £12.